70 Comments	This post may contain affiliate links. 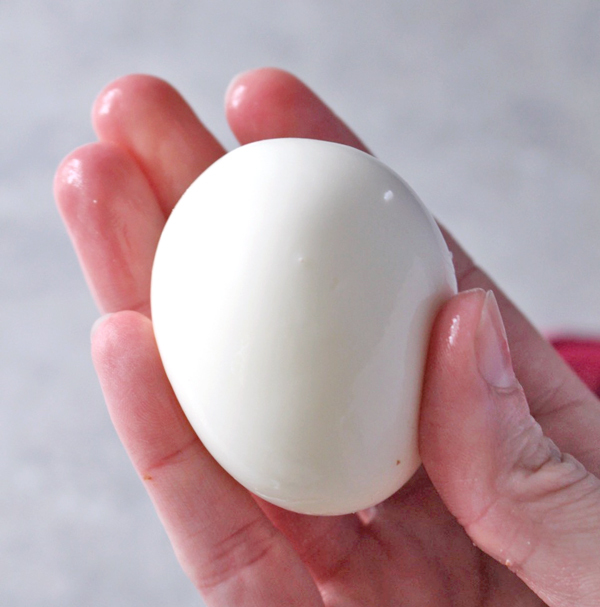 These Instant Pot Hard Boiled Eggs are quick, simple, and come out perfect every time! 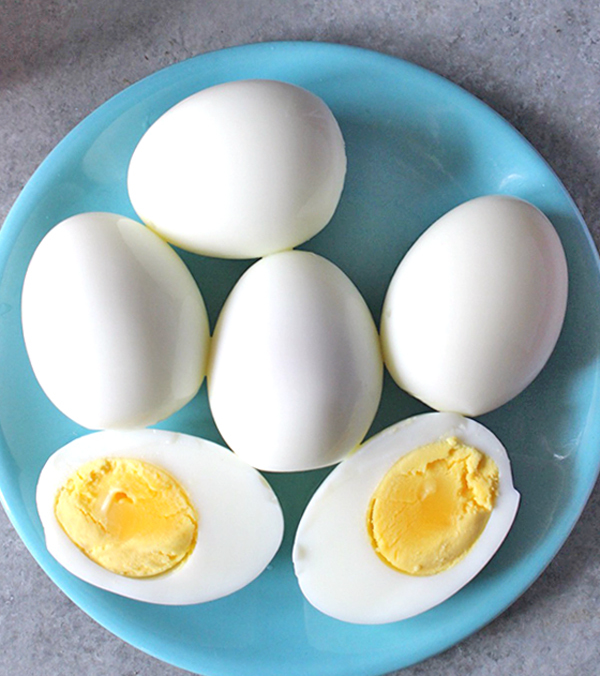 A quick breakfast or snack that is healthy and tasty. I love my Instant Pot for many reasons and this is definitely one of the main ones. 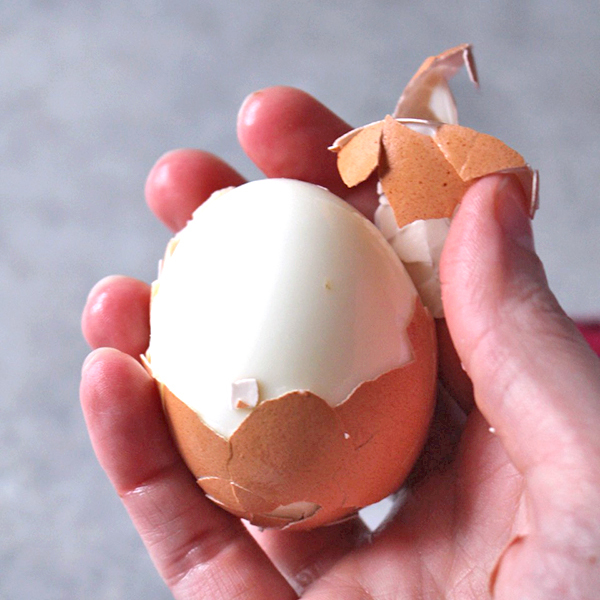 No overcooked eggs, no losing half of the egg trying to get the peel off, and so much quicker to make! This is the only way I make eggs now. Put the rack in the bottom of the Instant Pot and fill with 1 cup of water. Place as many eggs as you can into one layer on the rack. I can usually get 16 large eggs. Close it, turn it on manual, make sure the valve is closed and reduce the time to 4 minutes. Once they’re done, hit cancel and release the pressure. You want to do this right away or the eggs will keep cooking. Get them in a bowl of cold water and let them cool for 5 minutes. You’ll want to peel them while they’re still warm. 5 minutes is perfect cooling time. 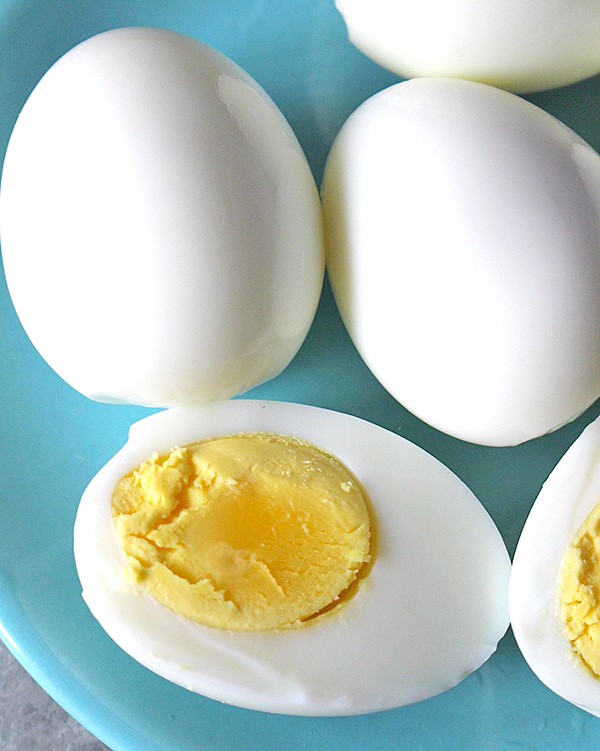 These actually aren’t hard boiled eggs- they’re steamed. And apparently that makes all the difference because I have never peeled an egg so easily in my life. I usually peel them one handed because I’m holding a baby with my other arm. I’m so glad they’re so easy! Perfect every time! 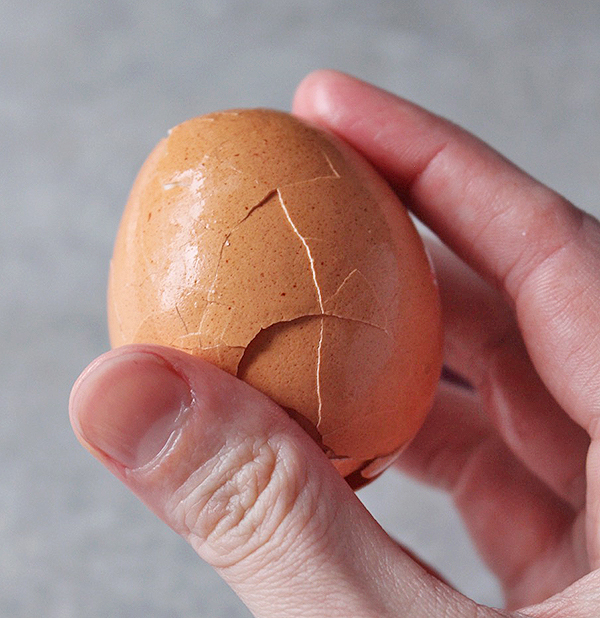 I can never resist a warm, freshly cooked egg. That sounds weird. They are just so good and if you’ve never tried one warm then I highly recommend it. 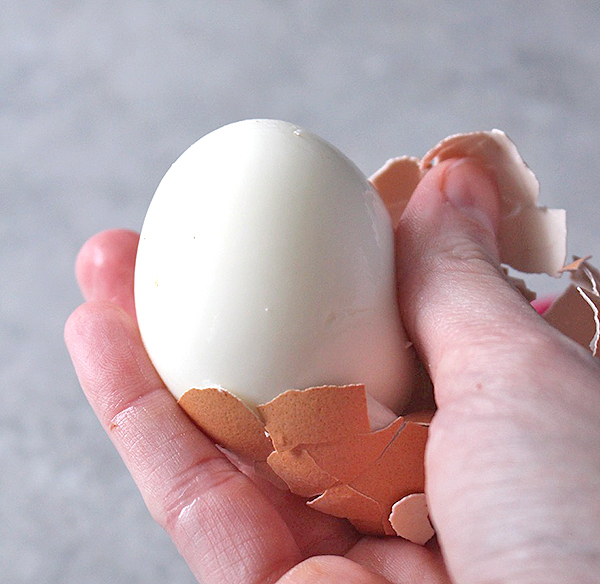 You will love, love, love how easy these eggs are! The yolks are perfect, not overdone and creamy and there is no green ring around the yolk. These are great for snacking, egg salad, Paleo Chipotle Bacon Deviled Eggs, or any other deviled egg recipe. HERE is the Instant Pot I have and love! Place the wire rack in the bottom of the Instant Pot. Pour in 1 cup of water. 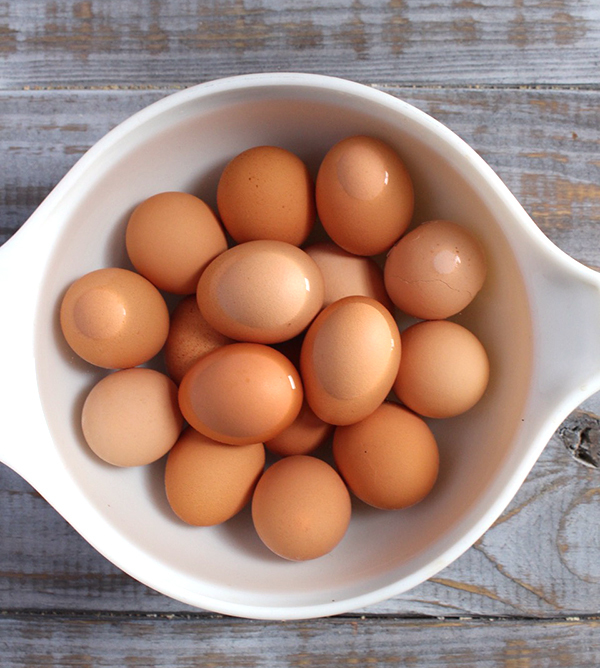 Place the raw eggs on the rack and fit them in tightly. I can usually fit 16, but that will depend on the size of your eggs. As soon as the timer goes off, hit cancel and release the pressure. Leaving them in there will result in them overcooking. Transfer them to a large bowl (I use a serving spoon) and cover with cold water. Let cool for 5 minutes. 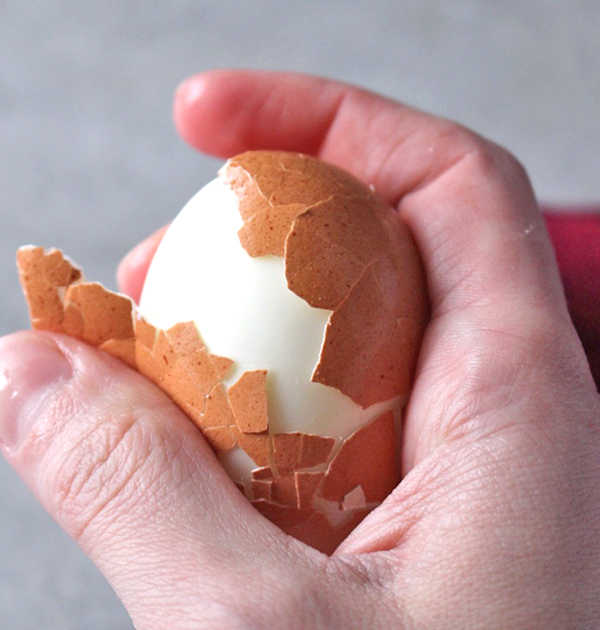 Peel while still warm and rinse any shell pieces off. Use immediately or store in the fridge. I understand most of this but I have memory issues so need thins stated very clearly. Where do I go to make it a manual cooking process? None of the names on the front of my Instant Pot that shows the word “MANUAL”. I usually set it on Eggs but many times it goes longer than is supposed to & then my eggs crack. Please be specific with answer so I can remember each step to take. Hi- I was told by someone that not all versions have the manual button, so maybe that’s the case. I have had the 6-in-1 and 7-in-1 (both 6 qt) and both those have it, but if you have a different model then it might be called something else. If you have the 8 qt then I would try the “pressure cook” button. Or if you want to let me know exactly which one you have and I can help better. Thanks! Hi Vicki- it is a multi-cooker, mainly used as an electric pressure cooker. HERE is the one I have and love. 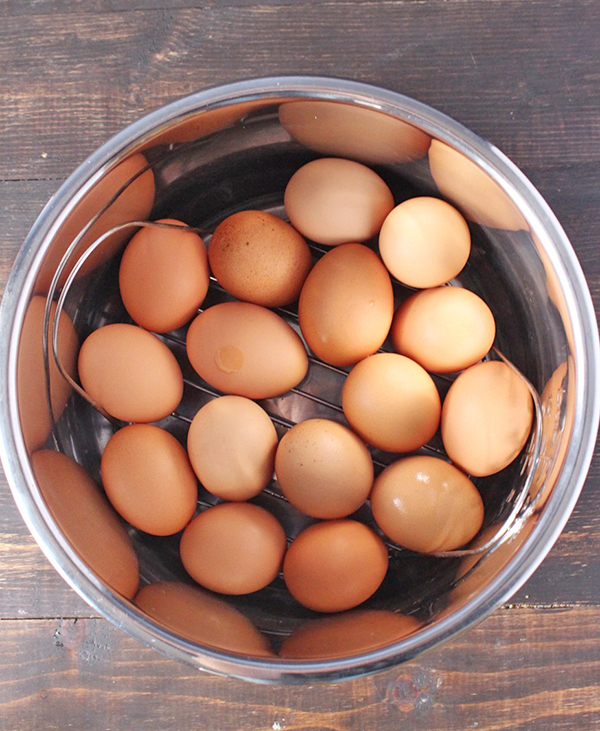 Hardboiled eggs in my Instant Pot! Who would have believe it?! My granddaughter recommended this receipe. I tried it tonight and it was perfection in every way! The shells basically fell off! Thanks for trying them, Jackie! So glad you liked the “recipe” and they came out great for you.